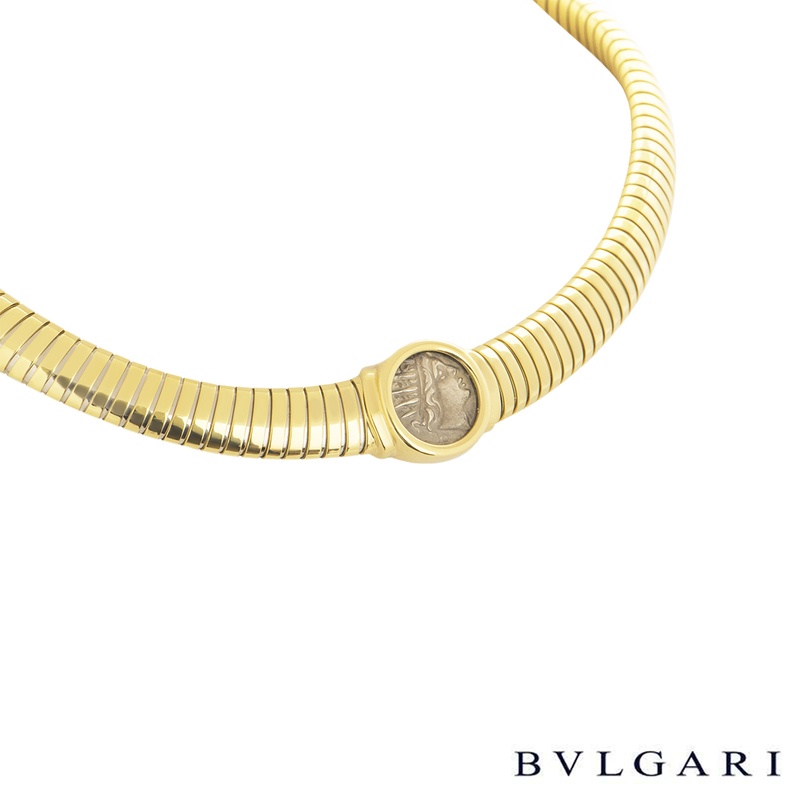 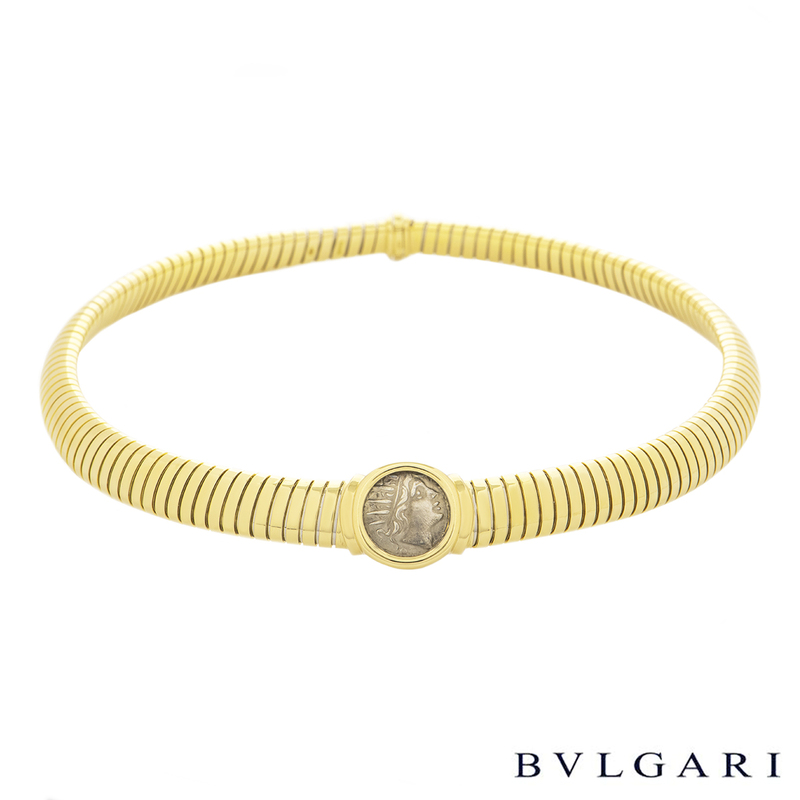 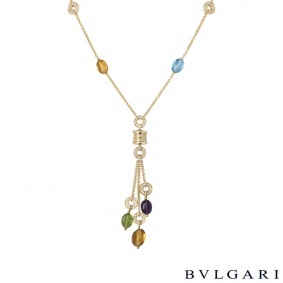 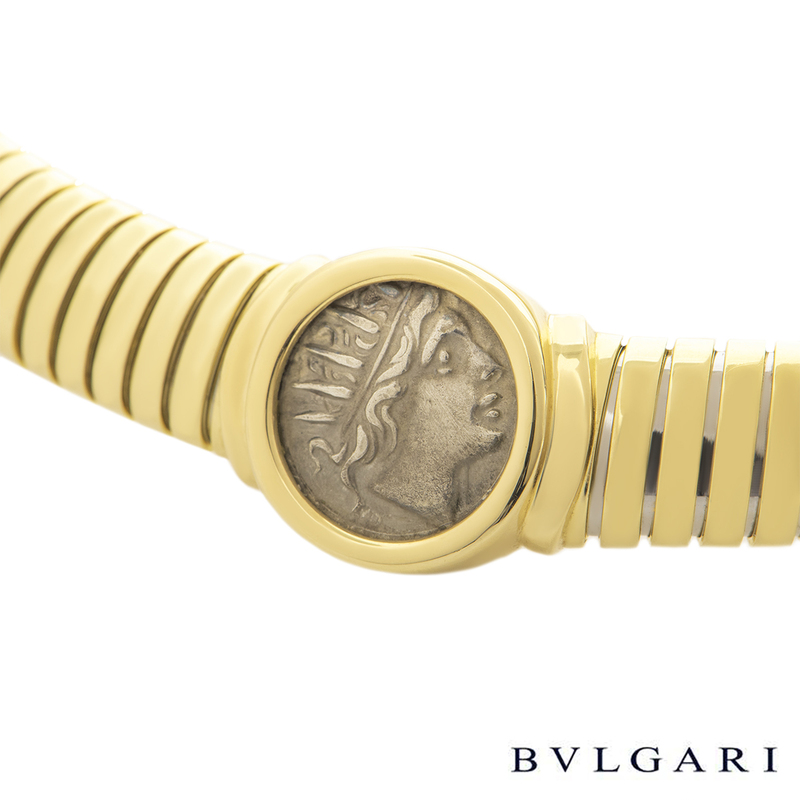 An 18k yellow gold necklace by Bvlgari. 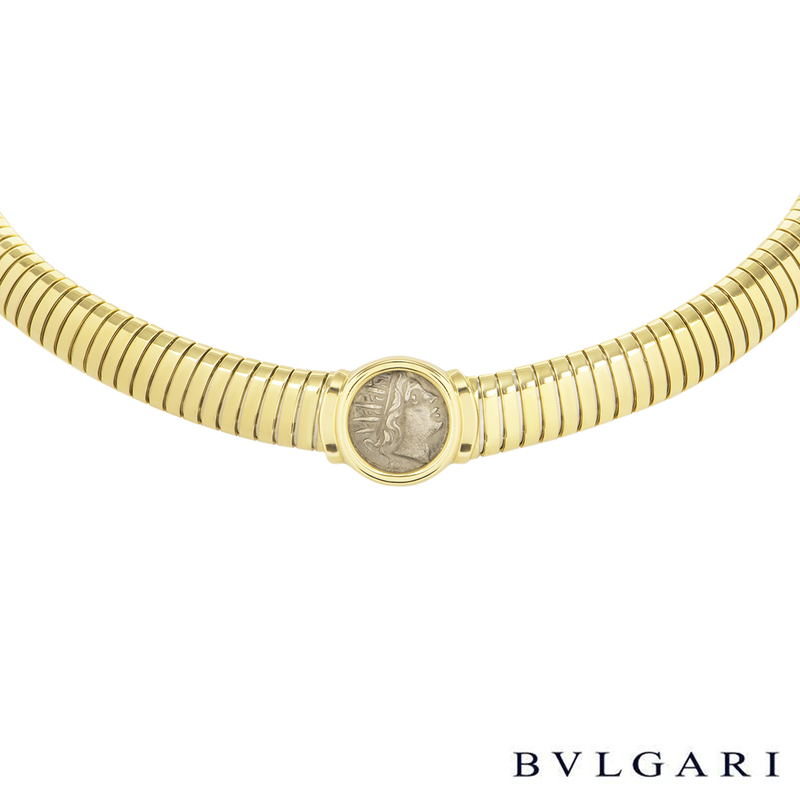 The necklace comprises of a Caria Rhodos coin within a polished bezel setting in the centre of the Tubogas style necklace. 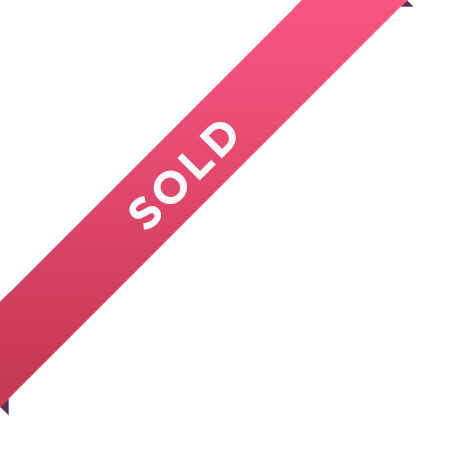 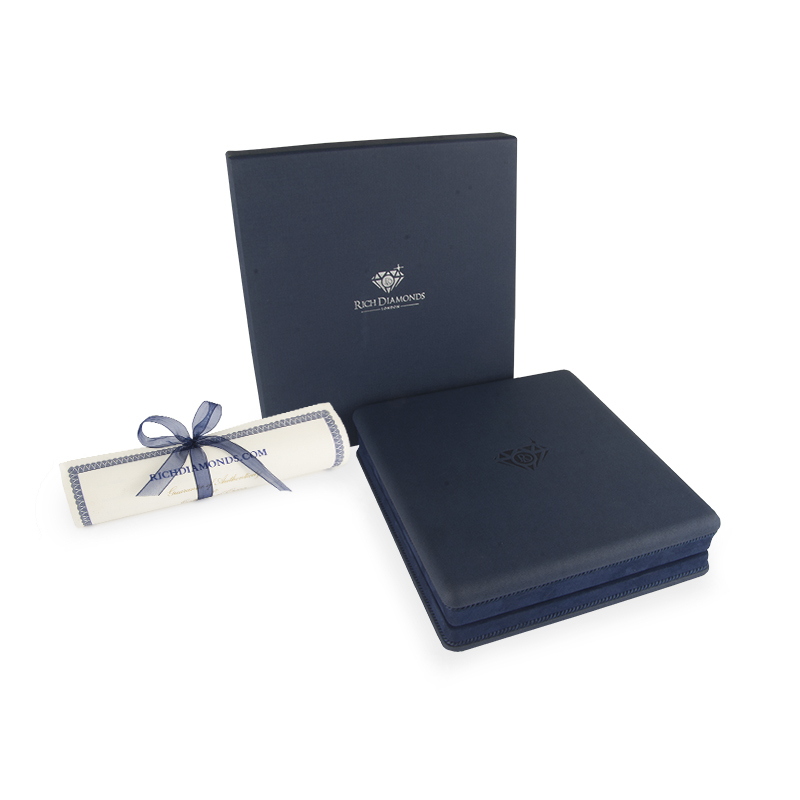 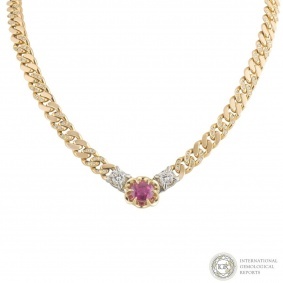 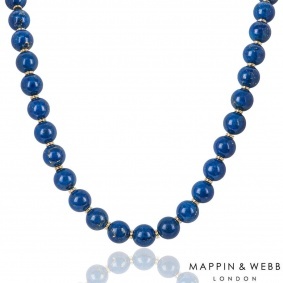 The necklace has a length 14.50 inches featuring a box tongue clasp and has a gross weight of 78.20 grams.